This fabulous Oceanside Estate was professionally and completely remodeled in 2006 to resemble a Lane-Style home. Lavish tropical decor adorns this very spacious home. Located in the heart of Duck, just a few minutes walk east to the beach or north to shopping and dining. 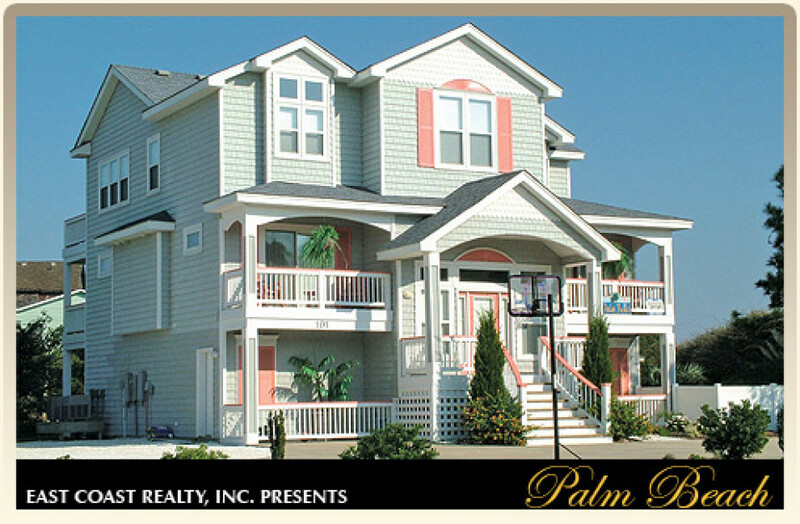 Awarded “First Place” Best Residential Property in the Duck Community Appearance Awards in 2006. The elegant living room and dining area ceilings boast trompe l’oil paintings and bamboo flooring. Faux marble kitchen counters and marble surrounds the gas fireplace. The sports bar features a pool table, California House game table and kitchenette. The enclosed theater room (built 2006) has a 106” wide format screen, six Berkline reclining theater seats and a seating area with sofa and swivel chairs. Complete with DTS surround receiver and DVD player, Mitsubishi high definition DLP Projector, Atlantic surround sound speakers and a universal remote that controls it all. Playstation II and Karaoke with battery speakers. All bedrooms are masters and each has a TV and ceiling fan. Richly appointed with custom-made comforters and coordinating draperies in each room (except the children’s room). The third level master suite features a Jacuzzi and a glass block walk-in shower. Listed By East Coast Realty, Inc. Elegant outdoor living area includes an in-ground cement pool & hot tub. Enjoy easy access to each floor with an elevator. Theatre Room with 106” wide format screen, six Berkline reclining theater seats and a seating area with sofa and swivel chairs. It has a DTS surround receiver and DVD player, Mitsubishi high definition DLP Projector, Atlantic surround sound speakers and a universal remote controls it all. Playstation II and Karaoke with battery speakers. Sports Bar with billiard table, game table & kitchenette. Spacious 4,500 sq. ft. home is situated on a large homesite in Duck. Elevator, Gas Fireplace with Marble Surrounds and more. All Bedrooms are Masters with Custom Designed Bedding & Draperies. The third level master suite features a Jacuzzi and a glass block walk-in shower. Each Master Bedroom includes a Private Furnished Balcony.